Well yesterday I put together a zebra shoulder bag and then I got my store up at ETSY for all my bags I’ve been doing. Been a tad tired but still clickety claking at the sewing machine. No embroidery this week-end. We wouldn’t want to wake up the daughter and loose all her beauty sleep from my noisey machine. Today I did another Amy Butler Frenchy Bag. I made modifications to it because I just don’t like certain flat purses and this shoulder bag shouldn’t be flat. It reminds me of a bag to put the new flat Apple puter in. What I did with the purse is add darts to the bottom to give it symmetry. It gives the purse more fullness and balance than just flat. There are purses that are flat, but this one doesn’t look good flat. I took the top panel and resized it, smaller in height. Even though this purse has straps, with the large top panel, the straps are not long enough and the top panel would lay in the armpit. Hey I gotta view my opinion, right! Still I should have lengthened the straps because it still needs room. 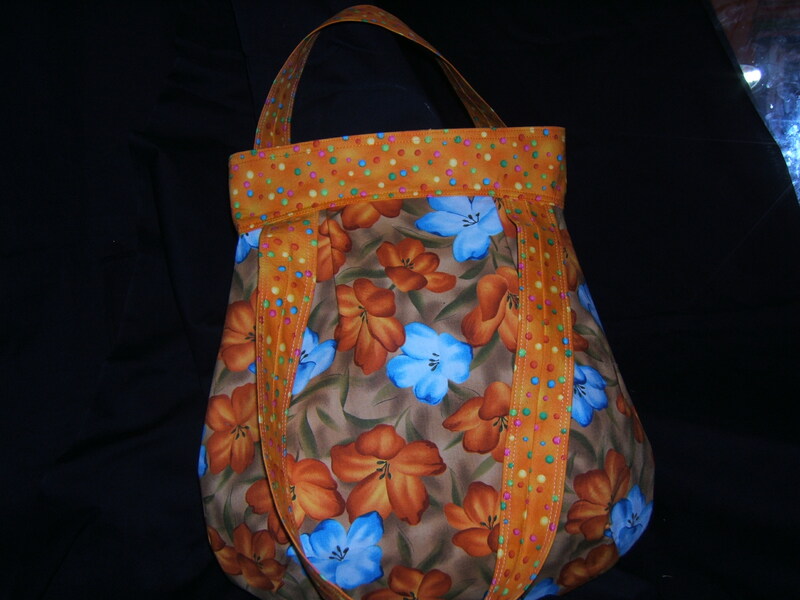 I will eventually make another frenchy bag and either I will put the straps into the top panel, make them longer and if I do the later, I will sew down the straps onto the top panel. So whats on tomorrows agenda when the boys (son and hubby) are putting the last screen door on and daughter is at work. Well let me show you the fabric. My daughter made fun of the above purse, so I asked her how this was. She said it was better color choice. Excuse me. This will be another Amy purse, that is if I have enough material. I was suppose to make the birdie sling today, but fabric not enough. 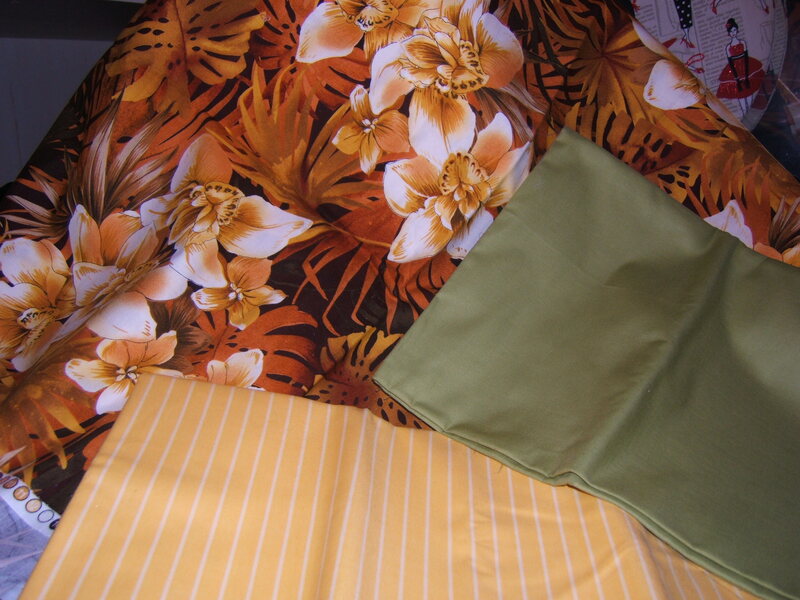 If I don’t have enough material, then I will use this for a pleated purse that I want to make. Oh well, we’ll see how it goes. Okay all done with the leopard Amy Butler frenchy bag. I hand sewed the lining to the top panel because I went ahead of myself, not following the directions from Amy. I know some people indicated that they didn’t like the pockets (run seam to seam, all the way to bottom of purse). I did a seam down the middle of the pockets to create two medium pockets instead of one great big one. On the other side, I made a pen pocket in the middle and then two on each side. I am not showing the inside of the purse because it is black material. I put rhinestones in the middle area of the front panel, between the two pleats that I sewed down 6 1/2 inches down. Here are my new fabric birds that I was doing last night. Don’t know how many more I’ll do, but my daughter has indicated to me her g-friend that just got a job at Disney in Florida, would like some for her apartment. Well now to go and check out which vintage bag I plan to start. Have to look over material and patterns. Later….